consists of a large red candle followed by a small green or red candle (usually green) that is within the previous session’s large real body. This pattern signifies that the immediately preceding trend may be concluding, and that the bulls and bears have called a truce. The Harami is a commonly observed phenomenon. The pattern is composed of a two candle formation in a down-trending market. The color first candle is the same as that of current trend. The first body in the pattern is longer than the second one. The open and the close occur inside the open and the close of the previous day. Its presence indicates that the trend is over. 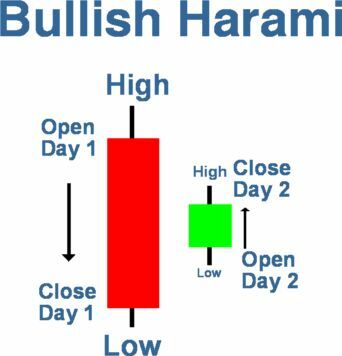 The Harami (meaning “pregnant” in Japanese) Candlestick Pattern is a reversal pattern. The pattern consists of two Candlesticks. The first candle is red the existing trend. The second candle, the little belly sticking out, is usually green in colour but that is not always the case. Magnitude of the reversal is affected by the location and size of the candles. 1. The first candle is red in body; the body of the second candle is green. 2. The downtrend has been evident for a good period. A long red candle occurs at the end of the trend. 3. 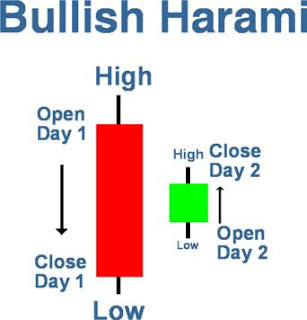 The second day opens higher than the close of the previous day and closes lower than the open of the prior day. 4. Unlike the Western “Inside Day”, just the body needs to remain in the previous day’s body, where as the “Inside Day” requires both the body and the shadows to remain inside the previous day’s body. 5. For a reversal signal, further confirmation is required to indicate that the trend is now moving up. 1. The reversal will be more forceful if the red candle and the green candle are longer. 2. If the green candle closes up on the red candle then the reversal has occurred in a convincing manner despite the size of the green candle. After a strong down trend has been in effect and after a selling day, the bulls open at a price higher than the previous close. The short’s get concerned and start covering. The price for the day finishes at a higher level. This gives enough notice to the short sellers that trend has been violated. A strong day i.e. the next day would convince everybody that the trend was reversing. as more indecision is indicated. I am going to share with you one very simple strategy based on a strong and easily noticeable candlestick pattern. They call it "Lucky Spike". 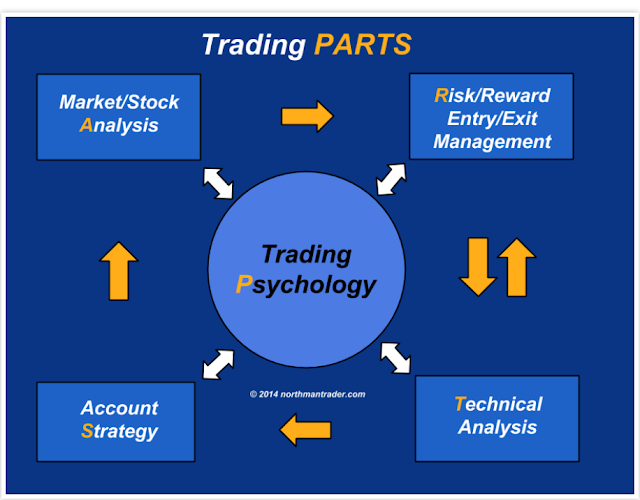 Everyone can learn it, use it and make money with it.There are traders who make a living trading just this pattern.